Photo video maker is one of the best applications to create videos, create movies, and edit photos. 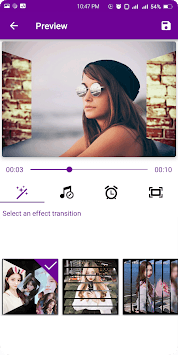 The app Photo video maker, that you can easily create videos, edit videos from your own photo gallery. You are using the best video editing application. Everything you need to create a great video like adding music, adding text, adding effects, photo frames ... is included in this app! You can create photo video, music videos - slideshows. 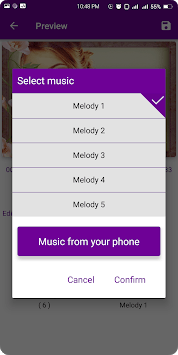 The application allows users to select music from your phone, just select your favorite photo, the slideshow video will be created. With an image creation tool with music and video editor, creating videos with photos, music and more is fascinating and interesting. You can create your videos with text, effects, stickers, photo filters, sound effects and almost anything you want in a creative way to have fun videos. 4. Share to your friends! ✓ Easy to use professional photo editing tools before creating videos with a simple interface. Please download and use Photo video maker, create and share videos with everyone. If you like photo video producers, please write some good reviews to encourage us.